I have had a couple requests lately to make some ruffle pillows. The one pictured above is a standard size pillow sham. I used 1 inch ruffle fabric. 2. You will need to cut a total of 3 pieces of fabric. For a Euro pillow sham I cut the front piece 27 inches square, 1 back piece I cut 27x13 inches, and the other I cut 27x20 inches. That way you can have an envelope type place to stuff your pillow into. 3. Make sure to cut your fabric 1 inch bigger all the way around from the size of pillow you are wanting. The coral pillow I did ruffle fabric front and back. 4. 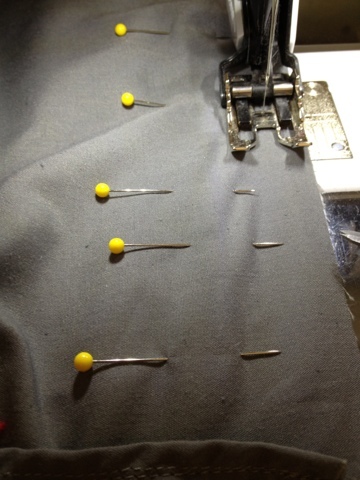 Pin the front and back pieces into place with the right sides touching. 5. Sew around the perimeter. 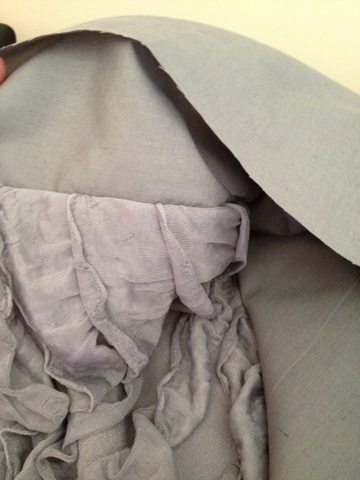 I like to use my walking foot when I sew with ruffle fabric. It seems to stretch a lot and the walking foot helps to prevent the stretching while sewing. 6. 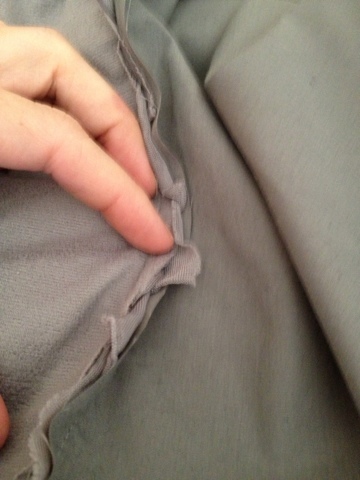 Clip the corners of the pillow so that when you turn it right sides out the corners look better. 8. Put your pillow into the pillow sham and ENJOY! This is so adorable! I wish I was talented enough to do it! I'll have to get my sister-in-law to do it for me! These are so cute! I wish I could sew then i could make my daughters a few of these pillows. She would really like them. This fabric was on clearance a few months back & I didn't get it because I've never sewn with it before. I chickened out; but your pillows look good! What a great use for ruffle fabric! Love the coral :-). This is so awesome! Thanks for this tutorial! Stopping by from The Wednesday Roundup! Found you on the Craft Frenzy Friday Link Party. Love your pillows! I'm visiting from keeping it simple and this looks so easy! Thanks for sharing the tutorial! Very pretty and creative! Thanks for sharing your tips at Inspire Me Monday! 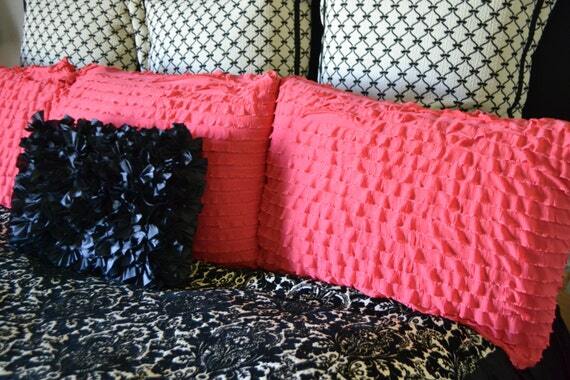 I love this ruffled pillow! 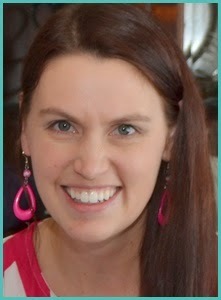 I would love for you to link up at the Stitch It, Blog It, Share It Link Party going on now at behindtheseamssewing.com.